Everybody, look under your chairs! With its cute voxel chickens and adorable sheep in a rainbow of colors, Minecraft doesn't exactly have a reputation as the scariest game around. Even the whole Enderman thing is, at best, creepy in a weird sort of way. 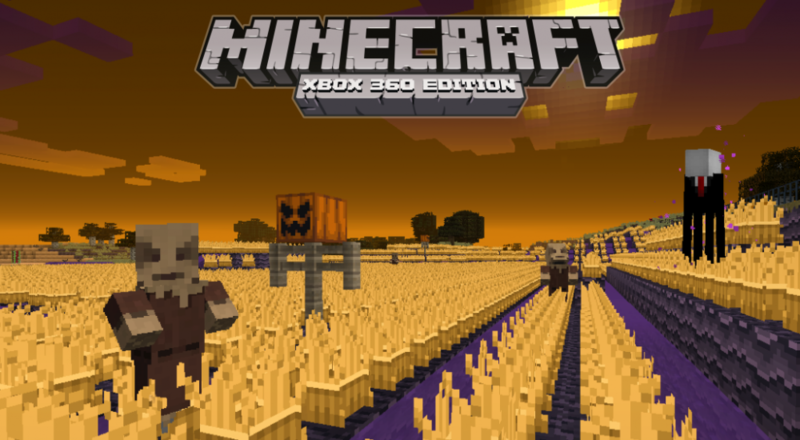 Mojang is releasing a limited time Halloween texture pack for the Xbox 360 version of Minecraft that looks to add a little bit of spookiness to your awesome subterranean cave empire. The free texture pack adds a lot of moody touches to Minecraft. Enderman becomes Slenderman (whodathunkit? ), trees have faces, creepers are more ghostly, and environments have that dark, late autumn touch to them we associate with Halloween. Of course, you'll have to actually build most of the creepiest things, like haunted houses and scarecrows made out of fence posts. But it's not like you were doing anything Halloween night, anyway. Right? It's hard to argue with the price of free, but be warned that the pack will disappear on November 3rd. If you want it, take it without mercy or hesitation. Page created in 0.6305 seconds.